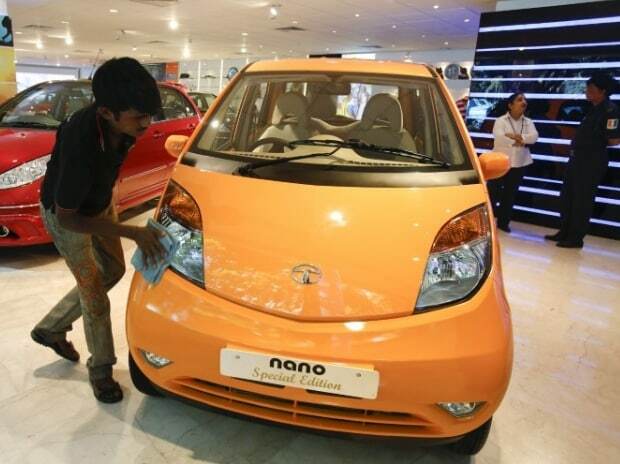 The Tata Nano is unlikely to be upgraded to comply with Bharat Stage (BS)-VI emission norms, which will become mandatory from April 2020. The car will have to be phased out of the domestic market. It could be exported to countries with different emission standards. Tata Motors exported 595 Nanos in fiscal year 2016-17; during April and May 2017-2018, only 50 cars have been exported so far. A Tata Motors spokesperson, however, maintained that the hatchback segment is very important for the company, and regulations and customer preferences are going to play a major role in defining various sub-segments within this segment. “We continue to produce the Nano catering to customer demand in key markets,” he added. Sources, however, pointed out Tata Motors, which was focusing on its latest cars, the Tiago hatchback and the Tigor sedan, was unlikely to make further investments in the Nano platform. Former Tata Sons chairman Cyrus Mistry had pegged the cumulative losses arising from the Nano project at Rs 6,400 crore. 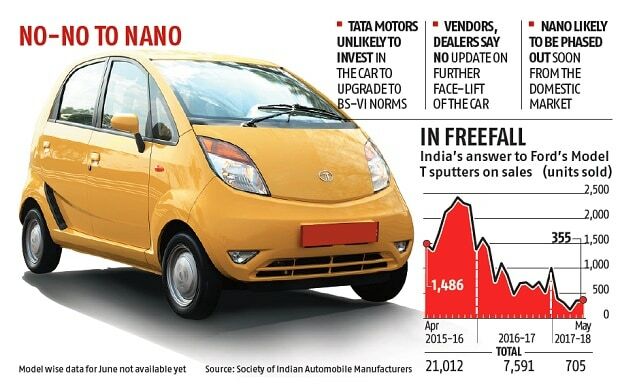 Investment is needed for the Nano, not only to upgrade to BS-VI but also for mandatory crash tests from 2019. The new emission and safety norms are likely to increase car prices by Rs 1 lakh, which will make what was touted as the world’s cheapest car less attractive to potential buyers. As of now, suppliers have not been asked to ready for BS-VI compliant components for Nano. “We have not heard from Tata Motors on developing BS-VI compliant components for the Nano,” a Sanand-based vendor of Tata Motors said. Dealers, too, indicated Tata Motors’ focus was on its newer cars and the automobile maker had not shared plans for revival of the Nano brand or launch of the face-lifted versions. Nano sales hit an all-time low of 174 in March. Just over 300 cars were sold each in April and May.